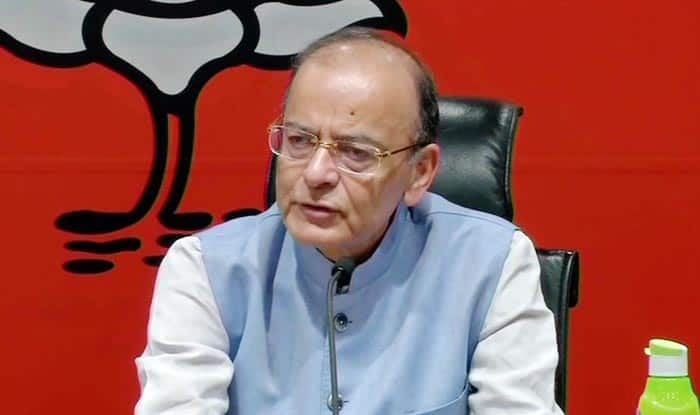 Finance minister Arun Jaitley reacted to Congress' Indian Overseas chief Sam Pitroda's comments on IAF's airstrikes in Balakot and termed it as unfortunate. New Delhi: Union Finance Minister Arun Jaitley slammed Congress’ Indian Overseas chief Sam Pitroda over his Balakot airstrike remark and said it is unfortunate such people are ideologues of a political party. Jaitley added that Pitroda’s statement ‘compromises India as a nation’. Taking a swipe at Congress President Rahul Gandhi, Jaitley said, “Agar Guru aisa ho to shishya kitna nikamma niklega ye desh ko aaj bhugatna pad raha hai.” (If the teacher is such, then it is evident how useless the student will be. The country is suffering because of this today.) Calling Pitroda’s statement an ‘erroneous premise’, he said that ‘there is a distinction between the non-state actors and state actors in Pakistan’. Jaitley said the non-state actors are ‘an extended limb’ of the state actors in Pakistan. The Finance Minister further said, “He believes what we did was wrong. No country in the world said this, not even the Organisation of Islamic Cooperation (OIC) said this, only Pakistan was of this view.” Saying so, Jaitley made it clear that India’s security doctrine had changed and evolved under Prime Minister Narendra Modi’s government.